Rolo-ing Along With The Tumbling Tumble Weeds. Yes, Sir, out here in the West, at Halstead, that’s just what we’re doing! 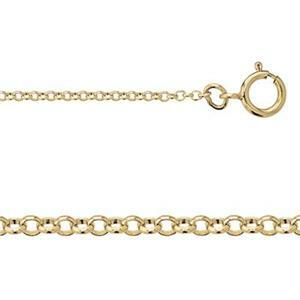 Offering you a wide variety of Finished Rollo Chains like our 321018 – 14/20 Yellow Gold-Filled 1.3mm Tiny Rolo Necklace Chain finished with a Spring Ring! 18-Inch – the Perfect Length for any Cowboy Princess – made to fall just below the collarbone. This length is flattering with Button-Up Blouses, Scoop or V-Necklines. Don’t Ride Off into the Sunset before adding one of our Yellow Gold-Filled Charms.